A star of the ABC show Bachelor in Paradise is touring Canada and reveals what fans ask him the most. 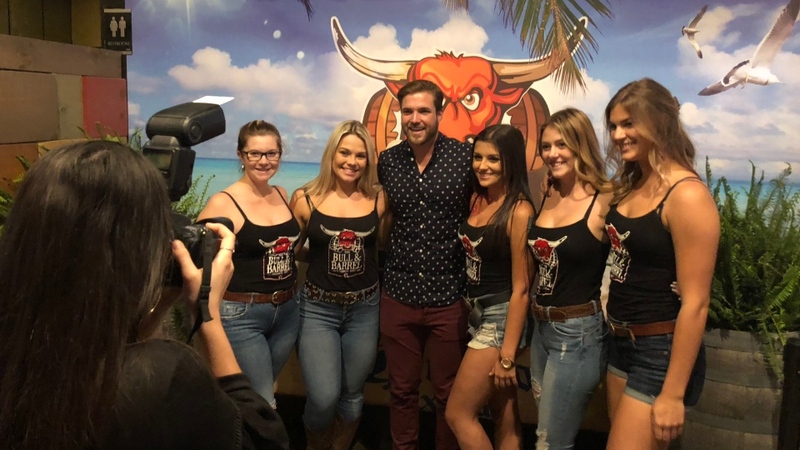 Jordan Kimball, who made a splash on the Bachelorette with his fashion, brought his quick wit to the Bull and Barrel Urban Saloon Thursday night for a dinner with his followers. "The number one question that people asks is 'Are you wearing the golden underwear? '” says Kimball. Kimball flashed the golden underwear as part of his time with Becca on Bachelorette Season 14. The Florida native is also known for his one-liners on the show. 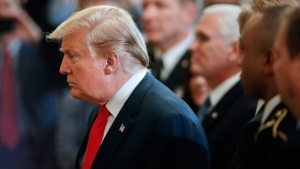 "Like I try to make an intelligent thought and then this little department in my brain just sends spam in and it's like I make these odd remarks, but they somehow end up making sense," he says. After the fashion model was rejected by Becca, he went on to propose to Jenna in the finale of Bachelor in Paradise Season 5 this summer. They have since broken up. Kimball charmed the crowd of women at the Bull and Barrel, snapping pictures and telling stories. "Windsor's absolutely got a place with me,” says Kimball. “If I ever want to go to a Caesars without going to Vegas, you can find me in Windsor." Now he's getting ready for an appearance on Dancing with the Stars in L.A. on Monday. "It's not easy,” he says. “I'm travelling, I'm catching planes, I'm getting on trains. I'm dancing." He's also looking for love again. "I don’t know how long I'll be single for, we'll see where it takes me," Kimball says. “It has been a rough month coming off of everything that's happened, but I'm really trying to use my family and friends as a crutch to vent and talk about what I'm going through as well as cast mates and it's nice to have so much support."